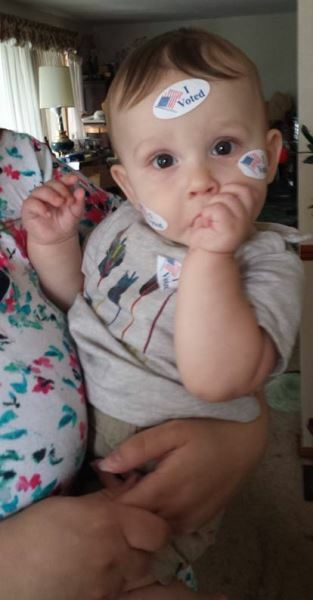 This is a picture of my grandson, Joey, just after his mother voted. One of the poll workers asked if she could hold the baby while my daughter went to vote. When she was finished voting, this is what the baby looked like! You have to love those St. Charles County election judges! Some of you are trying to process what just happened last week. The voters demonstrated what is important to them. Most of the candidates who were higher on the moral, conservative and Constitutional scale lost to bigger government candidates. There were a few exceptions, but in every election there are always electoral disappointments that sadden me even beyond my own. There is no question our Country is shifting to the Left end of the political spectrum. The question remains how we should deal with this new reality. My deepest gratitude goes to my family and my faithful volunteers. They walked with me in five parades, painted floats, put up signs all night long, cooked us meals, collected money at our fundraisers, designed our website, posted new content on our website, made video recordings, sent out newsletters and —most importantly—prayed for me. That was huge. I also thank more than 30,000 voters who selected me on their ballots over the incumbent They demonstrated above average cognitive skills and an ability to think through complex issues such as economics, morality and the benefits of limited government. Although there were more who voted for the incumbent, those who did so demonstrated that they like bigger government, more intrusive government and more expensive government. They also forfeited their chance to complain in the future about what comes out of their Congressional offices. It is important for me to take a moment to thank Blaine for not going nasty on a severely underfunded candidate. Once he could tell I didn’t have the Washington Cartel or any special interest groups behind me, he laid his guns down. With $1.7 million in his bank account, he could have blown me to smithereens and I would have had no way to defend myself. Through the process I discovered that the so called, “conservative” groups have lost their opportunity to complain about Congress since they were “no shows” when it mattered. The day before the election, a constituent asked me about where my money is coming from. The answer is that it came from some amazing people who believe in our values. While I would not have been opposed to it, I didn’t receive even one check from a PAC or any grassroots organization. It truly is remarkable when you think about what a great campaign we ran on a mere fraction of the money we spent on other state representative and even municipal races. How do conservative organizations ever expect to make any progress when they don’t do anything to change the electoral outcomes? Are they so used to defeat that it’s simply not worth it to them to make some effort? Even if their candidates lose, they need to think about the value of the message. Why wouldn’t they give some money to a faithful messenger who can deliver the message during a campaign — which is the only time most voters are open to being educated? This was a worthy effort and some good was accomplished by my candidacy. The most notable difference is that Blaine’s voting record surprisingly improved after he was on notice we are serious about wanting reform. Once he discovered he had an experienced challenger, it reminded him that he needed to work for his district and not for the lobbyists. He also started showing up for a lot more events and was forced to interact with his constituents. He is now on notice that he will attract a challenger if he keeps going outside the lines. One evidence of this is his Heritage Action Scorecard went from a 49% when I filed to a 60% by election day! He’s still near the bottom of the Missouri Republican Delegation, but we have seen some improvement. It cost me about four months of my life and some of my own money, but it made him aware that we did notice. You can count on me to continue to be a strong advocate for YOU and for our VALUES! 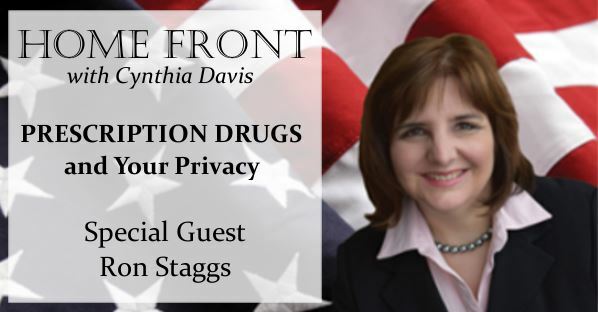 There is still a need for our weekly newsletter and the Home Front Show. We are more committed than ever to making sure we shine the light in the darkness to help others find the path. My commitment is to being a faithful witness to the truth in all arenas! If you need some encouragement, just consider that there have been many people who were more effective outside government than functioning within governmental structures. A few examples of these are Phyllis Schlafly, Star Parker and Mother Theresa. Like them, I am committed to being a strong advocate for Constitutional government. You are part of helping me to continue to be a faithful and tireless beacon of truth. We went into the red, but felt it was necessary to finish as strong as possible. If you would like to help us bring the balance back up to 0, we would be very grateful. We only need a little more to make that happen. Let me know your thoughts on the election last week in the comment area below. We spent some funds on last minute ads and phone calling. If you want to help bring us back up to a zero balance, that would be very helpful. If ten people send us $100, that will take care of the remaining debt. However, if you can’t do that, even $25.00 will make a huge difference. If you’ve donated in the past, we want you to know that our campaign funds were spent very efficiently and we received a tremendous number of votes for the money we invested in making people aware of our campaign. The campaign bank account is closed, but if you want to donate to the Home Front Show, we still need to replace some worn out peripherals. Cynthia, thanks for running. I have believed in conservative values that were instilled in me by my parents (part of the greatest generation). It’s a shame all their values and effort has proved to be washed away with the upcoming liberal movement. Our country is being tarnished by trash values and our valued military is being brainwashed into assisting the efforts to reduce our current freedoms we love and adhere to the most in this country. 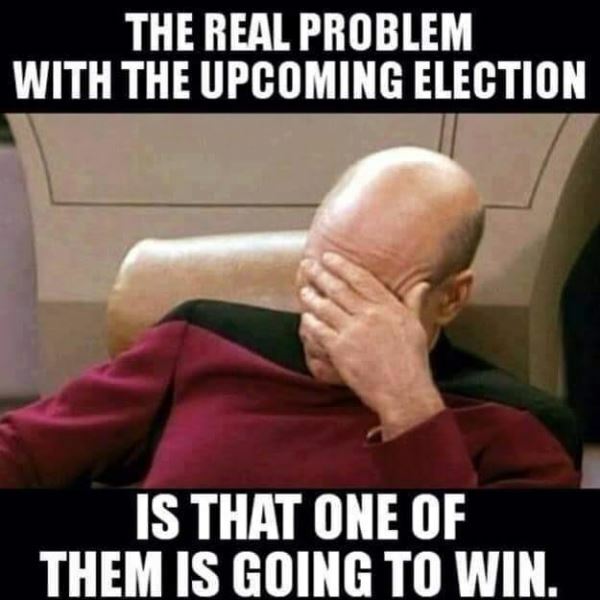 With each day I see more ignorant people relying more on big government, which makes them vote for the liberal lying trash that wants to run (take over) our country. I only hope my children have an opportunity later in life. My hard work and education has put me in a great position to contribute further to big government as I continue to see more and more money be depleted from my earnings, not on my own accord. It’s sickening, saddening and maddening to watch the ignorant outvote the intelligent in each upcoming voting election. Our country will continue to deteriorate if Mrs. Clinton is elected president. We will see our own BOR be taken away from us one by one. People continue to be brainwashed by liberal news indicating how threatening and corrupt foreign governments can be; if they were smart enough, they only have to look towards Washington DC to see the most corrupt government in the world. Sad! Not surprising that you lost BUT a worthy shot at it, Your analysis was outstanding and the improvement in the incumbents action And votes is telling and worthwhile. Great job. THANKS!. Cynthia, I’ll be by to make a contribution. God bless you guys for your work for our Lord !! Cynthia, I’ve been learning in this political climate that we need to keep our eyes on Jesus. Look at the positive things there were accomplished. It is very easy to get discouraged if you look at how the world measures things. Just like the Israelites in the desert, the liberals get the free lunch from the sky and the water from the rock and still can’t stop complaining about how much better it should taste and how much more they deserve to have. We just need to press on, keeping our eyes on Jesus and where he is going in the midst of all of this. I want you to know though that there are some people who have woken up looking for how to get best involved and listen to your show. You are a lightning rod for that movement. Your candidacy partially inspired me to sell an old car I had gathering dust so I could go to the Values Voters Summit in DC in September and learn how best to get involved. Thank you and keep up the good work. THANK YOU FOR YOUR EFFORTS TO GET TRUE FREEDOM BACK INTO GOVERNMENT! AND TO EDUCATE US TOO! If nothing else comes out of this, one thing it will accomplish, is to let Blaine know he has to get his score up to where his votes are votes his constituents want him to make. His F never was acceptable, even if he did vote pro gun. As a whole, the election was a big disappointment to us, it seemed that the most unqualified candidates won. Our long time friend Greg Pugh, lost to a St. Clair alderman, that might as well be a Democrat, since he was funded by the labor unions, but worse than that, he doesn’t have a clue what goes on in the Legislature, where Greg walked the halls ,lobbying for concealed carry, for 13 year, on his own dime. He did beat the Mayor though. We voted for Catherine Hanaway for Governor, Bev Randles, for Lieutenant Governor, and both lost. We voted for 2nd dist. commissioner, long time Highway Supervisor, Jeff Thurmond, that came with no break in period. They lost. Tim Baker that ran for 1st dist. commissioner, is a business man, that had worked for his dad, in his Standard Station, in Pacific, since he was a kid, then in his dad’s ice plant, until his father’s death, then he ran the ice plant till they decided to sell it. We heard him speak 2 times, and he would have been a lot better for the job, but he lost to the other guy. Of the 3 candidates running for County Sheriff, retired army Sergeant Major, Dan Page, that had also retired from the St. Louis County Police Dept., was our choice for Sheriff, and he lost. Dan said we needed a General Patton, or McArthur for Sheriff, at this time in history. Dan had a Meet & Greet event at the Franklin County Baptist Association building, and had Bill Federer as special speaker. Bill gave a great talk , as usual. Dan gave us a website address to look up, “strongcitiesnetwork.com.” The New American magazine had an article about a conspiracy between Loretta Lynch, and the UN terrorsist, it was all about the nationalization, or internationalization of all police forces, and as many County Sheriff’s Dpt’s as possible. This article had this website in it. I voted for Dan because I believe he would keep us safe from federal intrusion, which is why I voted for Catherine, she knows the laws, as well as the Constitution. We did get Josh Hawley as Attorney General, and Tom Copeland as Franklin County Assessor, but other than that, the election was a bust. Tom didn’t have a Democrat running against him, so he doesn’t have to run in Nov.
We need more people like you in our county. I was sure glad to see that left wing woman that tried to get elected as a Conservative lose; Bill Eigle will make a good Senator for the East end of the County. All my relatives that live in Dist. 23 voted for him. First your are to be congratulated for your efforts. My family voted for you and for other conservatives who did not win their elections. I am more proud of all of them than the whole of the “Conservative” patriots who have done so little in the last eight years. That includes 99.9 percent of our representatives in Washington. Shame on them! After the news on the Clinton Foundation, I can see why there are Republicans, Democrats, sordid Hollywood, and media who are in the bag for that pretentious perfidious woman.